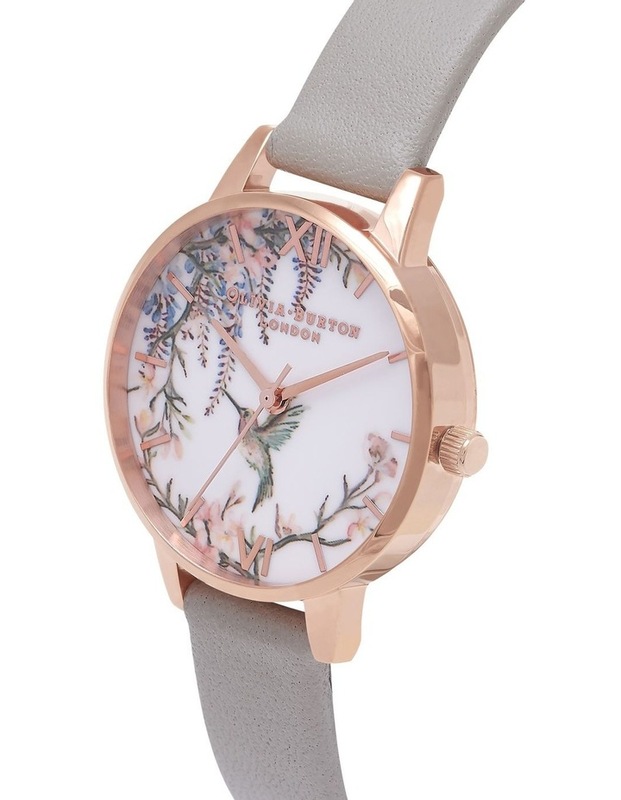 A little work of art for your wrist, this white midi dial forms a canvas for a delicately painted hummingbird surrounded by floral motifs. 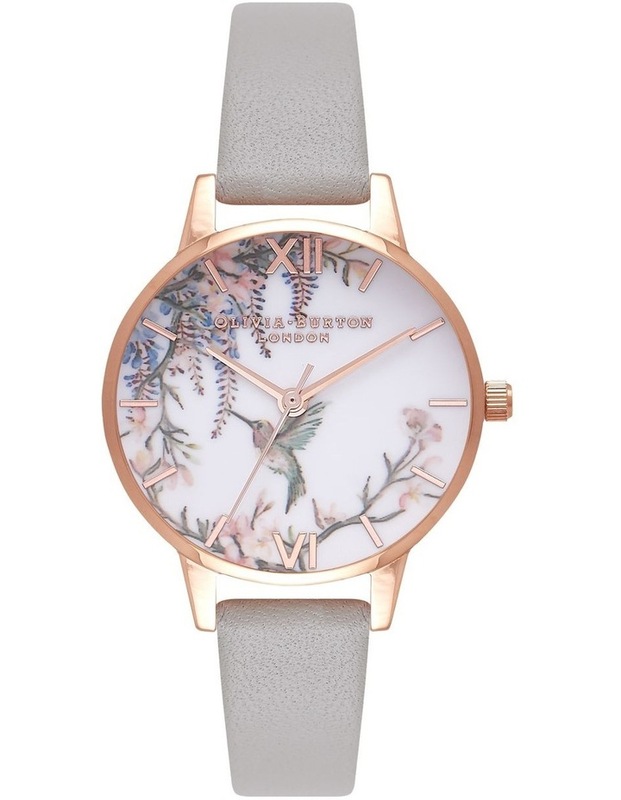 Soft colourways bring a feminine charm to the piece, which is housed in a rose gold-plated 30mm-wide case. 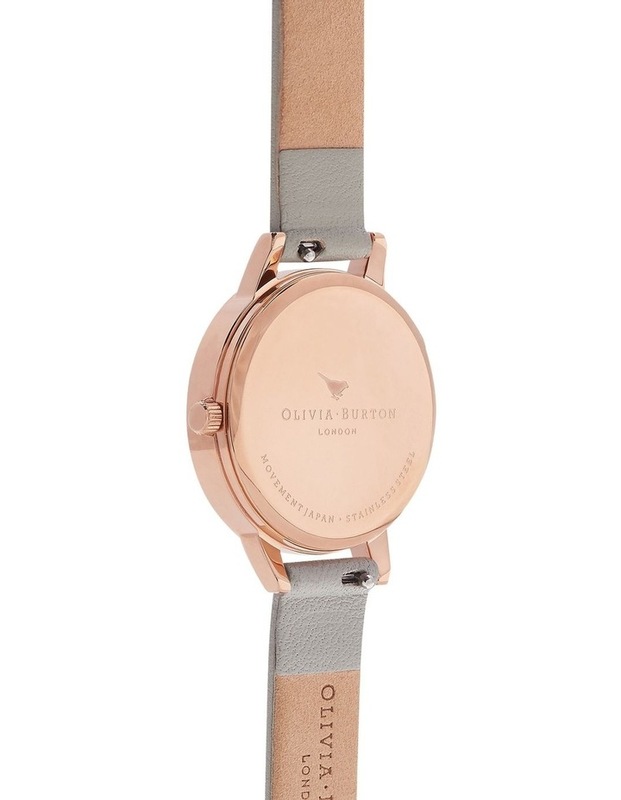 Its grey leather strap wraps the wrist beautifully. Wear with everything, from jeans to a pretty skirt.